On April 28, Iranian port authorities detained a US cargo ship navigating under Marshall Islands’ flag within Iran’s international waterways in the Persian Gulf.. The ship with 34 staff, mostly European, was escorted to Iran’s Bandar Abbas port. The ship was detained on the orders of an Iranian court over Iran’s Port and Marine Organization complaint against the Maersk Shipping Company which owns the cargo ship for holding back fees and other charges. The Islamic Revolution Guard Corps (IRGC) has refuted Jewish media propaganda of Iran’s political motive behind the seizer. The Jewish World Review wrote on May 1, that since Maersk Tigris ship belongs to Marshall Islands, which has a defense treaty with the United States, like Israel, under which Washington is obliged to defends Marshall Islands’ right. “Given the US’s formal, binding obligation to the Marshall Islands, the Iranian seizer of the ship was in effect an act of war against America,” Caroline B. Glick said. “Immediately after the incident began, the US Navy deployed a destroyer to the area. But that did not seem to make much of an impression on the Iranians. More significant than the naval movement was the fact that the Obama administration failed to condemned their unlawful action,” Ms Glick tries to pour her Talmudic fire on the issue. On May 1, the Iranian embassy in Denmark announced that Maersk Tigris will be allowed to leave Iranian waters after its paying depts. and settling its cases with private complainants. The Jewish whining aside, this post is meant to show how like Israel’s vaporization of 100,000 Arab Jews, America, too, carried out a genocide of Marshall Islands’ native people by testing its nuclear arsenal during 1946-1958. Watch a video below. While Barack Obama and other European leaders on Jewish Lobby’s payroll, want to make sure Iran doesn’t challenge the Zionist entity over nuclear arsenal – the US itself conducted 67 nuclear and hydrogen bomb tests in Marshall Islands since 1946. 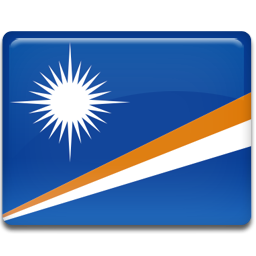 Marshall Islands got its ‘confederated’ independence from the US in 1986. The island has a population of 68,000 people, mostly Protestant Christians. There are 20 Jewish and 10 Ahmadyiya (India’s Bahais) family on the island. Let’s not forget, Washington refuses to give Diego Garcia back to its native people. The country was seized and cleansed of its native people by the US and Britain – later turned into a US torture camp and a military base to control Arab people hostile to the Zionist entity like Houthis in Yemen. Diego Garcia, is a British colony in the Indian Ocean. Professor David Vine in his book, Island of Shame, says that in order to build a naval base on the island, the US forcibly deported entire remaining native population of 2000. By 1973, the entire brown-skinned population was replaced by White European settlers.